How Can High Speed Doors Move Your Business Ahead? The increasing consumer demand for fast-paced purchasing and services, means that businesses are having to speed up their operations and adapt with newer technologies making processes more efficient. A consistent work flow around industrial, commercial or retail openings is essential, in order that downtime is minimised and operations can run smoothly. This can be particularly difficult in busy warehouses or other facility environments, where high traffic flow around openings increases the risk of hazards and a build-up can lead to a slowing down of tasks. How Can High Speed Doors Benefit Your Business? 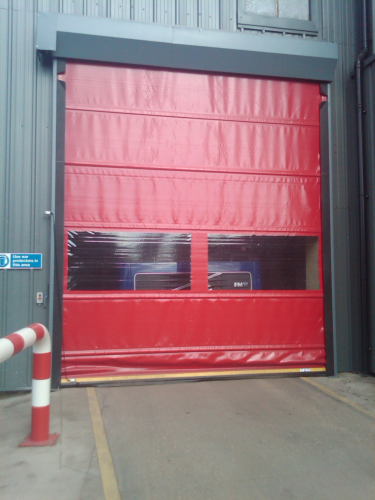 UK Rapid Door Systems is one of the UK’s leading manufacturers and installers of rapid acting doors, experienced in delivering solutions for commercial, industrial and retail projects. If you feel your business would benefit from the installation of one of our energy conservation rapid acting doors then please give our friendly team a call today on 0121 565 6165.